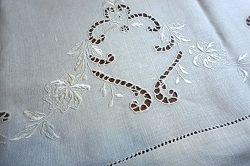 This little pale peach tea towel or fingertip towel is so delicately made with a gorgeously embroidered Madeira edge. 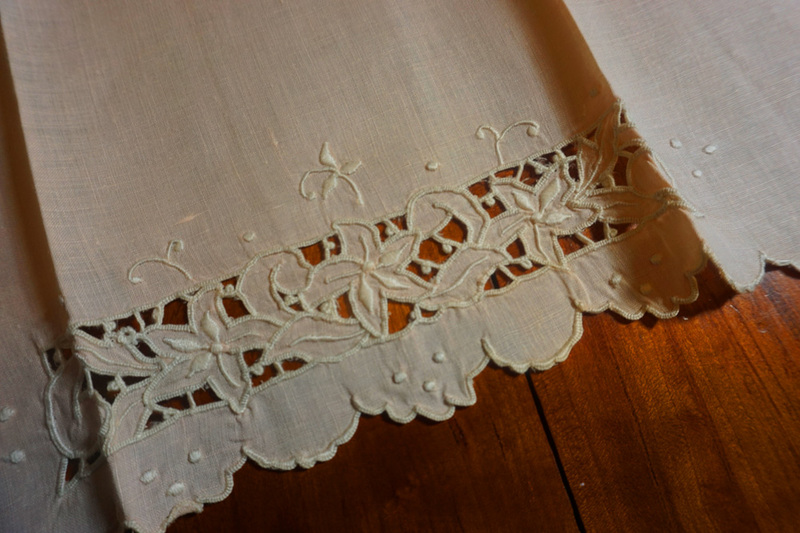 14" x 20". 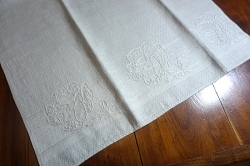 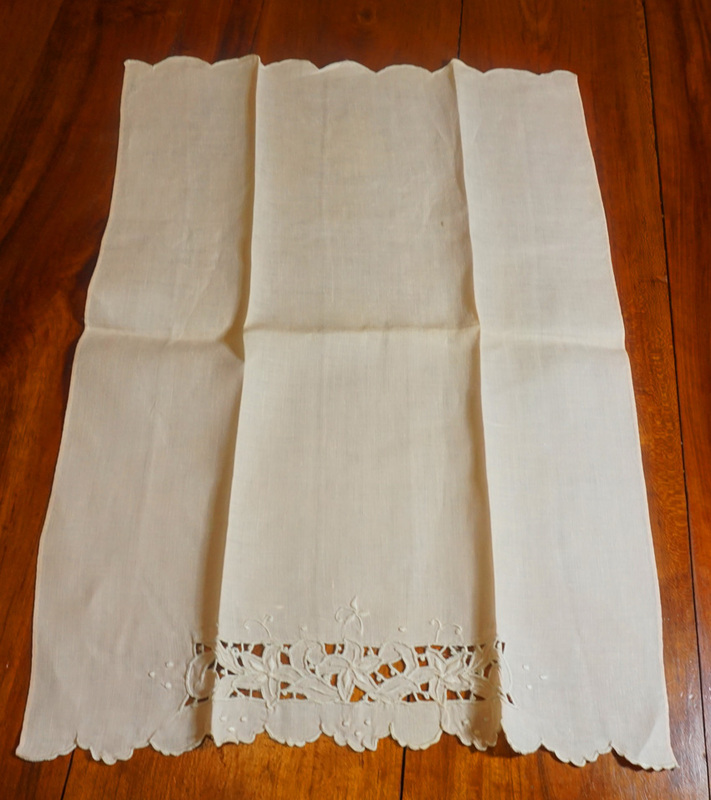 Did you know, a tea towel was made for the lady of the house to dry her delicate china herself to prevent the servants from carelessly breaking it?